Christian elders, under the aegis of the National Christian Elders Forum has taken a swipe at Senior Pastor of Household of God Fellowship, Lagos, Rev. 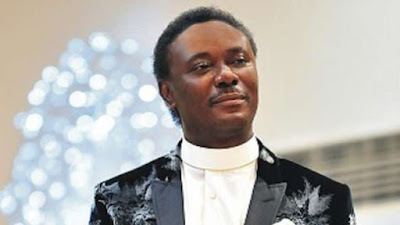 Chris Okotie, over what they consider 'very uncomplimentary' remarks he made about the President of the Christian Association of Nigeria (CAN), Pastor Ayo Oritsejafor, during the course of delivering a sermon on Sunday, October 25, 2015. The group in a statement signed by its chairman, Solomon Asemota (SAN), said, "Since Rev. Okotie has not issued a retraction of the news report, it would be assumed that he made the statements credited to him." According to the group, "The Reverend gentleman shall be required, through the PFN bloc, to kindly inform the Nigerian Church "where and when" the President of CAN made the "false prophecy" he alluded to and why he believed such unedifying information should form part of the gospel from his pulpit." The group said: "In view of the many challenges facing the Nigerian church, it has become necessary to appeal to Christians, particularly, the ministers of the gospel, to be circumspect about utterances concerning other Christians, in particular, the person and the office of the President of Christian Association of Nigeria. "It would be necessary to remind Christians that CAN is the official institution representing Christian interests in Nigeria and any attempt by any Christian to ridicule or weaken CAN, is a disservice to the Lord and to His Church. "Nigerian Christians should be reminded that the Nigerian Church has a lot of enemies bent on "eradicating" the Church in all of its "ramifications". It is no longer a secret that these enemies use "operatives", within and outside the Church to spread false reports, accusations and divisive statements to divide the church and weaken Christianity. Much of the contention in the Church has been traced to the nefarious activities of these "operatives", many of whom pretend to be Christians. (2 Cor. 11: 13 - 15) Satan knows full well that a house that is divided cannot stand. "The National Christian Elders would also want to draw the attention of Christians to the unchristian activities of a certain "Pastor" Musa Dikwa who peddles false information as truth. While all the "sponsors" of Musa Dikwa may not be known, it is clear that this man neither serves the Lord Jesus Christ nor works for the interest of Christianity. "As part of its determination to keep the unity of the Spirit in the bond of peace, the Christian Elders appeal to Christians, particularly the ministers of the gospel, to develop a kindred spirit. Since we are one body in Christ, Christians should edify one another and not pull each other down."